This great photograph was sent by Melissa Rightmyer Smith, daughter of Andy and Jan Cook. 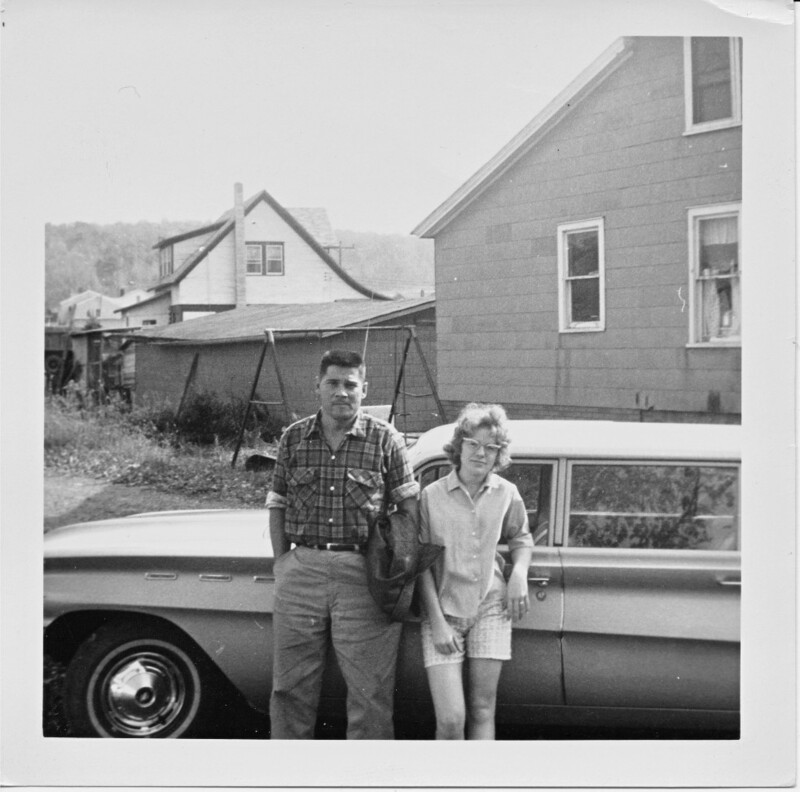 It was taken in the driveway of our house in Hemlock NY, probably in 1965. 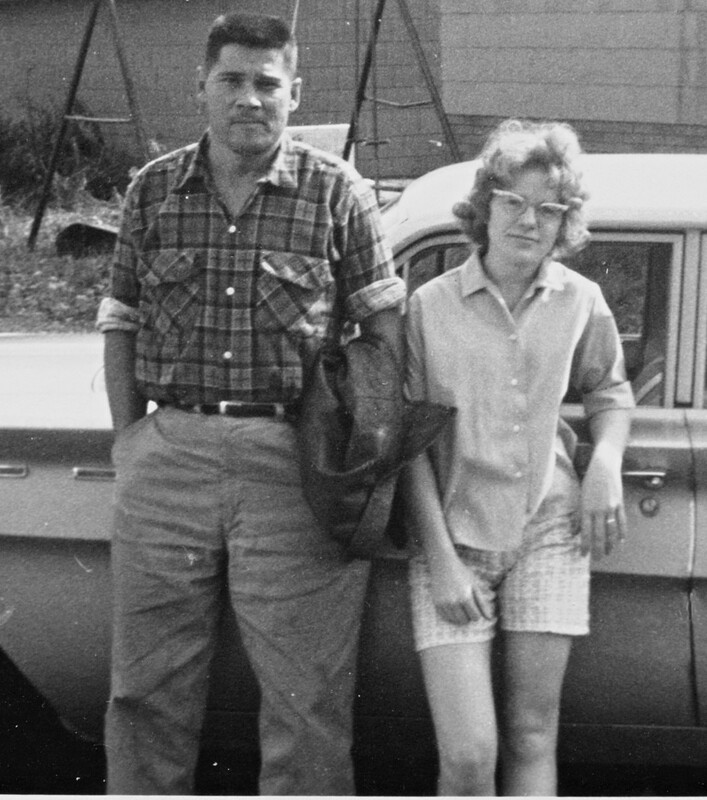 It shows Dad (Stillman T. Cook) with Jan, wife of Andy Cook. It appears that Jan has a wedding ring on, so it may be after they were married. The first photo is an enlargement - be sure to scroll down to see the entire view. (More comments below the photograph). The background of the photograph brings back lots of memories. They are standing in front of our car, which I believe was a station wagon. It is parked in a our driveway. Behind them is the Hendrickson's house. They were our neighbors and good friends. In the distance I can see the Gascon and Marshall homes on East Avenue.